We help organizations across a diverse set of industries understand their customers, personalize their marketing, and protect themselves from cyber crime. Connect with more customers for a smooth shopping experience. 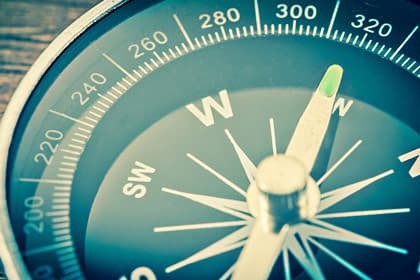 The customer journey has changed dramatically over the course of the digital age, especially for retailers and consumer packaged goods (CPG) companies. 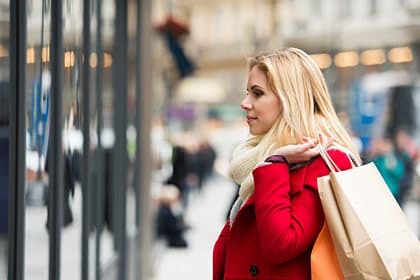 The days of customers buying the vast majority of products in-store is shifting, and online shopping is becoming more of the norm. With that, there are now more consumer channels, devices and outlets for you to reach them with your message. But which marketing channels are working? Where do you allocate and optimize your marketing budget to reach the right consumers and drive business value? By taking advantage of our unparalleled and trusted identity resolution, you can confidently know who your customers are, how they’re finding you, and how to reach them no matter what combination of devices and online/offline channels they’re using. Our advanced marketing analytics software can accurately attribute which media channels are contributing the most toward sales conversion so you can maximize growth and profitability. But that all becomes a moot point if hackers take down your site with a DDoS attack or target your DNS. Every minute your site is down means lost revenue you can’t get back. Our industry-leading security solutions defenses provide the strongest defense against an attack and keep your site operating at peak performance, even during heavy traffic periods, so consumers don’t get frustrated with a slow site and abandon their shopping cart. What’s letting CMOs see 7.5% better bottom-line results? Make sure you’re always open for business, while knowing who’s on the other side of your interaction. Financial services institutions and insurance companies are constantly trying to balance the importance of cyber security and a frictionless customer experience. You want to encourage your customers to take advantage of the convenience of self-service digital interactions, while benefiting from the operational efficiencies that provides. 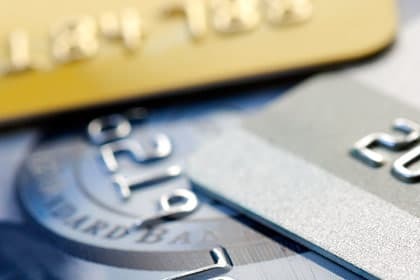 But with the constant threat of fraud and cyber attacks lurking out there, knowing who’s a legitimate customer and who’s not, in real time, can mean the difference of millions in revenue. Our comprehensive suite of Marketing, Security, Risk/Fraud, and Communications solutions that leverage industry-leading identity resolution can help you find new and profitable customers, then keep them engaged from the home page to the final sales conversion using the right messaging. We can also ensure your website performs at its peak while maximizing its defenses, mitigate your risk and fraud exposure, and optimize your call centers for new customers or current ones who prefer to conduct their business over the phone rather than online. One partner, multiple solutions, the complete package for your organization. What are best practices for stopping account origination fraud? Leave the competition in your rear-view mirror by reaching more car buyers. 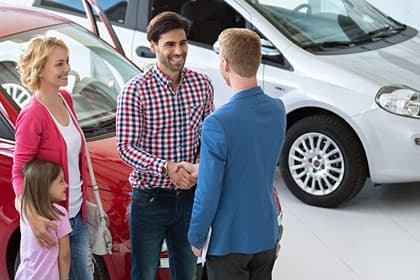 People looking to make their next automobile purchase are everywhere, whether it’s for an SUV, hybrid, truck, all-electric, sports car or crossover. But the decision to buy a new or pre-owned vehicle can require a large investment, and as a result there’s an extended shopping process. And that means you need to stay engaged with your potential buyers all the way through the customer journey to make sure they keep your brand top-of-mind in the current, intensely competitive environment. With our trusted identity solutions that bridge the online and offline worlds, we provide the customer intelligence that helps ensure your marketing targets a genuinely interested buyer instead of a sports-car enthusiast who is only 10 years old — all while keeping your network safe from malicious attacks. The connected car is going to change the way all automakers think about big data. One report estimated that by 2020, the market for data leveraged from automobiles will reach $14.5 billion. Neustar can ensure you have the advanced analytics solutions in place harness that data and pull the relevant insights, allowing you to take a larger piece of that multi-billion dollar pie, plus build stronger and more personalized messaging to customers so you see a better ROI. Make sure every traveler interaction feels like it was personalized just for them. Often, you only have a few seconds to grab someone’s attention on the web. To be heard, you need to make sure you know who is on the other end of the interaction, no matter how you’re communicating with them. Your need to know how to personalize your content, in real-time, not to mention maintain rock-solid site performance so travelers don’t get frustrated and abandon during the purchase process. Neustar’s comprehensive suite of cutting-edge solutions ensures you have the best tools to create a connected customer experience. We are on the only Information Services provider that caters to online travel agencies and global distribution systems, with solutions for personalization, mobility and call centers. Our trusted identity bridges the divide between the consumer and their device, so you can learn more about their travel interests — even if they don’t log in. Manage your communications, activate on leads, and improve your ROI and marketing efficiency, all while mitigating fraudulent purchases. Is your Customer Graph working hard enough for you? Accelerate service fulfillment to grow and guard your customer base, along with their connected devices. Consolidation and network transformation keep competition fierce across the communications and technology landscape. You have to deliver and activate digital services with the speed and excellence your subscribers and enterprise customers demand for a seamless, omnichannel experience. With the proliferation of connected devices, including IoT, that’s expected to reach more than 20 billion by 2020, is your company fully prepared to organize the big data they will provide? 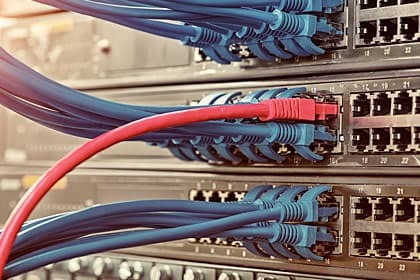 And with all those connected devices, you’ll need to ensure you have an industry-leading solution that will guard against DDoS attacks hackers might try to unleash to bring down your network and damage brand credibility. Neustar can be your one-stop-shop that allows you to grow your bottom line and guard your infrastructure from a cyber attack. No matter what industry you’re in, we’ve got you covered. Our industry-leading solutions to grow and guard your business also can be incorporated into the Pharmaceutical/Biosciences, Media & Advertising, and Healthcare industries, among many others.